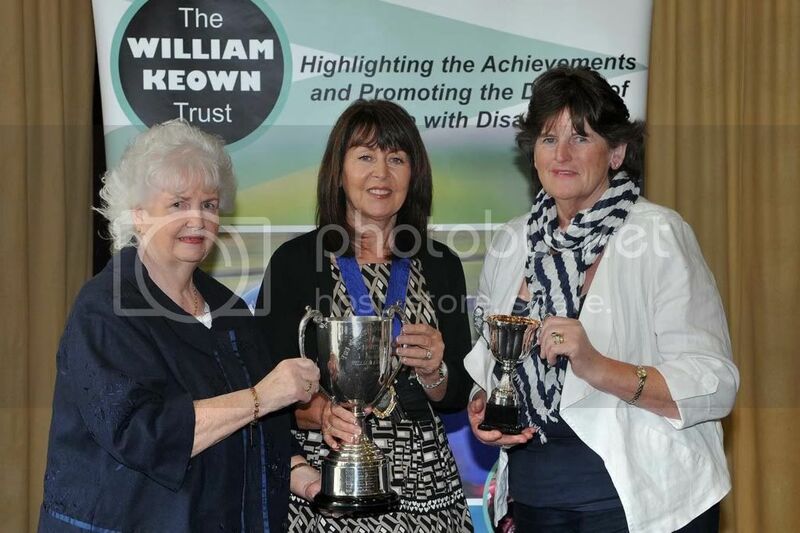 This award is to be presented to someone who makes a significant difference to the life of someone with a disability or illness and who is not part of the family circle. The inspiration for the cup was in recognition of the wonderful friendship Christopher, aged 16, received from his life long special able-bodied best friend, called Christopher Hardy, which helped Christopher enjoy and take part in many things all boys and girls like to do, especially with another friend. Having previously worked as a ward sister in Thompson House, Lisburn for some twenty-two years, since her retirement twelve years ago Marie has been a very committed volunteer engaging in social activities to support people aged from 18 – 65 years with brain injuries. Marie engages with the permanent team of multi-disciplinary staff and some other volunteers to meet the needs of the patients, her involvement includes trips to the cinema, shopping and facilitating patients in sport and other projects including art and music. Marie is very cheerful, extroverted and compassionate and her initial motivation to be a nurse has sustained her to continue to care after her retirement. Her enthusiasm never wanes and she has contributed much to the welfare of patients and the many nurses she has influenced as a mentor. Marie was awarded an MBE in respect of her commitment to Thompson House over many years; she is also the vice-chair of the Friends of Thompson House and organises and facilitates supportive social and fundraising activities to benefit both patients and staff.